Too Hot to Handle? Hot Drinks Might Cause Cancer. How hot do you like your tea or coffee? Chances are that you don’t mean to drink it at a harmful temperature. But the thought of drinking a lukewarm beverage makes you turn up the heat even hotter than you can handle. According to research, you may want to let that drink settle before taking a sip. Recently, a new China-based study evaluating hot tea as a carcinogen was published in the journal Annals of Internal Medicine. Due to its large number of participants and lengthy follow time, the researchers’ findings are considered a valuable contribution to other research on the topic. To conduct their study, researchers followed over 450,000 participants for a median of 9 years. They asked participants who drank hot tea on a regular basis (weekly) to rate the temperature of their tea. While the participants’ “warm,” “hot” or “burning hot” ratings aren’t exactly hard data, they did still prove interesting. Researchers found that those who drank “hot” or “burning hot” tea and also smoked cigarettes or drank alcohol actually increased their chances of esophageal cancer two to five times. What’s the correlation? The idea is that the combination could cause repeated damage to the esophagus. In turn, this makes it more prone to disease than before. To be clear, the risk increased for people who drank or smoked excessively. In other words, you would have to drink more than a normal glass of beer, wine or shot of hard liquor each day to cause a problem. For smoking, you would have to smoke an average of at least one cigarette per day. Although the risk isn’t increasing for everyone, the warning is clear. Protecting your body from even simple daily harms can go a long way toward your overall health. So you probably know that you shouldn’t be drinking hot drinks at a scalding temperature. Not only does it leave you with a dulled sense of taste for the day, but for most people, that temperature is just not pleasant. Still, what do experts mean when they say that a drink is too hot? The International Agency for Research on Cancer says it’s any drink above 149 degrees Fahrenheit. If it goes past that point, you could increase your risk for cancer regardless of smoking or drinking. 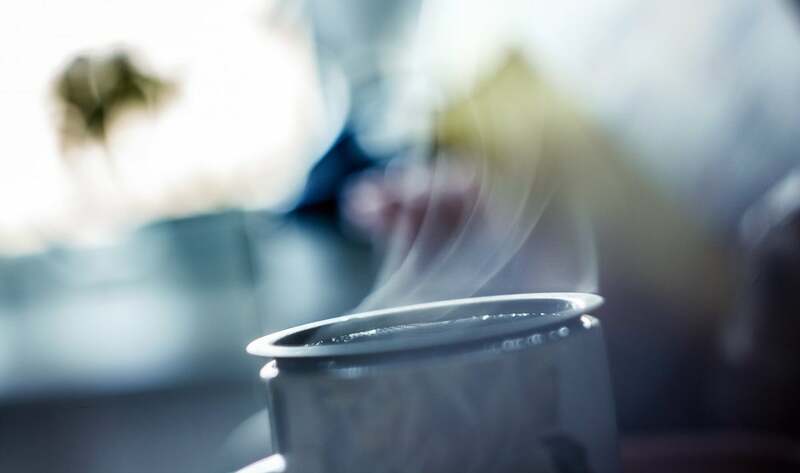 In one study conducted by the IARC, researchers analyzed several countries who traditionally drink hot drinks at higher than 158 degrees Fahrenheit. These include China, Iran, Turkey and countries in South America in which tea or matè are popular. According to their results, there is limited evidence that the temperature of these hot drinks does pose a risk when it comes to cancer. Following the study, the IARC listed hot drinks as a possible carcinogen to humans. However, it also reclassified coffee so that it was not listed as a possible carcinogen—to the delight of coffee-drinkers everywhere. First, make sure that you let your hot drink cool for a few minutes after it comes off the stove or coffeepot. Think: would I let a child drink it at this temperature? Putting something else in your drink will help it cool down faster, especially if the cream comes directly from the refrigerator. If you just have a knack for getting drinks too hot, you could try the cold versions of your favorites. For instance, you could try iced tea, cold matè or iced coffee instead. Overall, these studies are shedding some light on esophageal cancer worldwide. While they may not prove anything just yet, you should make sure that your hot drinks are staying at a reasonable temperature. In the long run, you’re only helping your body heal and repair itself more easily.